not as good album as "A 1000 Leaves" or "Murray Street", but it has some pretty nice songs like "Free City Rhymes", "Renegade Princess", "Nevermind (WWIA)" and of course the song that titled the entire album - "NYC Ghosts & Flowers". I like this album, on 2016 vinil sounds great. Its very experimetal and clean simple. Its like it should be for a new begining of a path. Isnt SY an experimental band? This álbum defines their ADN. And one thing. 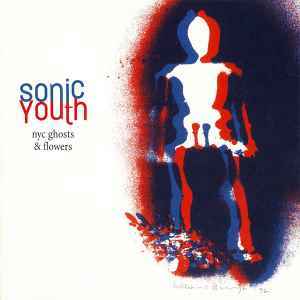 Isnt the album name nyc ghosts and flowers? So i totaly feel the creepy ghosts on this album. CONCEPT!!!! !